It seems like every garden tool company has a few weeding tools in their line, regardless of whether they have any new ideas about how to make one. Like Madonna and her now-legendary loathing of Hydrangeas, those bland trowels and dandelion forks drive me to eye-rolling and muttered sarcasm. Where’s the innovation? Where’s the edge? That’s why I’m so keen on the Ken-Ho scraping weeder. While my beloved hori-hori is usually my go-to weeding tool, the Ken-Ho snuck into my good graces a few years back by doing one task exceptionally well. You know those endless tiny weeds that pop up in spring after each dousing rain? The Ken-Ho lets you scrape them all up in a few quick swipes. To use, just set the blade on the surface of the soil and drag the weeder towards you. The motion uproots the baby weeds and creates a little pile of topsy-turvy weeds that are easy to pick up. It has a sharp blade, and the offset handle makes getting into tight spaces a snap. It works great in gardens with landscape fabric. Since weed mat keeps the weeds’ roots from growing too deep, the Ken-Ho can scrape up even large weeds with ease. When planting vegetable gardens, the Ken-Ho lets you keep your wrist straight while creating rows for seeds, uprooting baby weeds, and planting veggie starts. 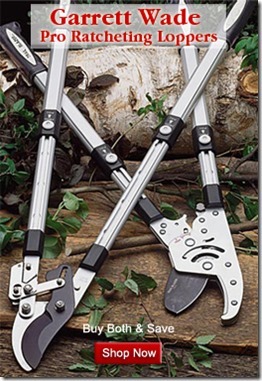 The triangular blade is perfectly shaped to fit into sidewalk cracks to remove weeds or moss. In established garden beds, getting weeds out from under shrubs or perennials can be a challenge. The angled head on this scraping weeder makes it easy to reach under existing plants to remove stubborn weeds. My favorite thing about the Ken-Ho is that it offers a different motion when weeding. 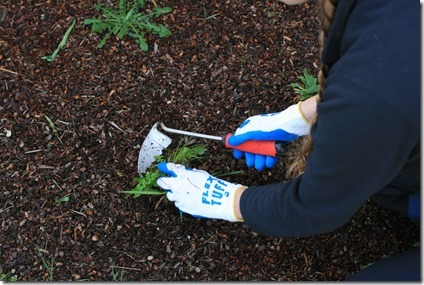 Most weeding tools require a bit of a wrist flick, which can aggravate wrist or hand injuries. 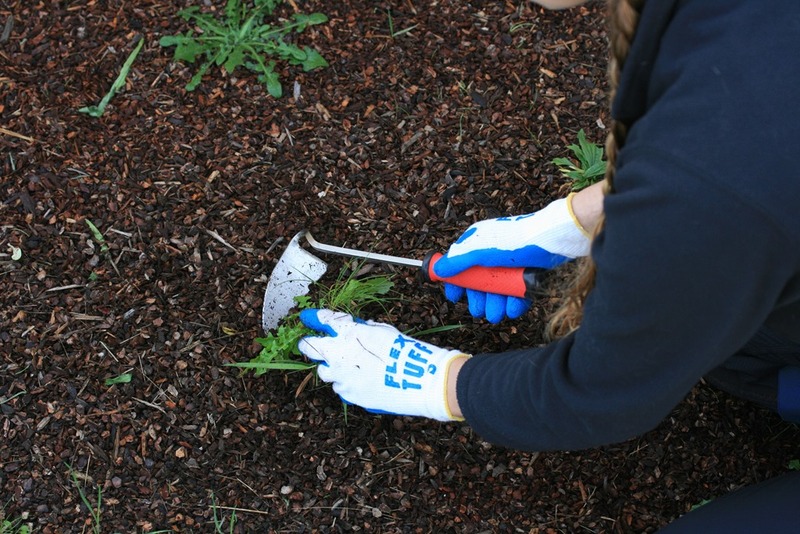 The scraping motion of this weeder lets you keep your wrist straight, so you can garden longer without becoming tired or sore. The only downside to this tool is that it’s made for right handers. Lefties can purchase a similar tool in a left-handed model, the Japanese-made Kusakichi brand nejiri scraper, but it’s made of carbon steel rather than stainless. It still works well, but the blade is ever-so-slightly heavier. The Ken-Ho has a rubberized handle that’s comfortable to grip, and the blade is made of rust-free stainless steel. 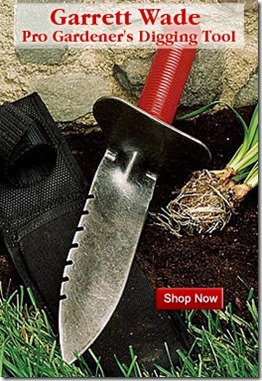 It’s an invaluable tool for spring and summer gardening, and kicks that boring old trowel to the curb. Review originally published in Fine Gardening Magazine.